Square dancing as we know it became extremely popular in the 1950’s.The first square dance groups in Saskatoon were formed in 1953 – the Gingham Swingers and the Cotton Capers. In 1957 ‘the Saskatoon and District Square and round Dance Teachers Association” was established. In 1960 a constitution and bylaws were drawn up and from this meeting the ‘Hub City Square and Round Dance Association‘ was born. The aim and purpose of the HCSRDA is to encourage, foster and promote square and round dancing as well as offer training, advice and encouragement to its members, callers and cuers. 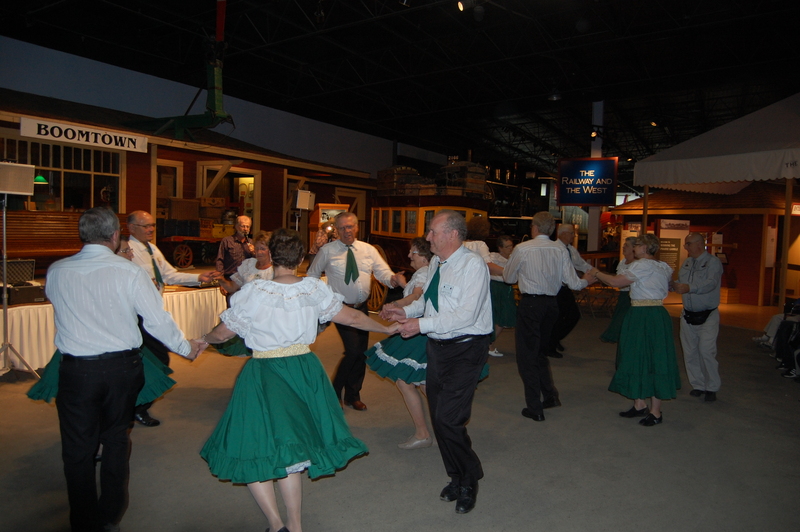 The HCSRDA presently consists of 4 square dance clubs, 3 round dance clubs and 1 clogging club. Various levels of square, round and clogging dance are offered throughout the fall, winter and spring months. Winner of the Paul and Carol Hill Harvard Broadcasting Award in Music, a full Graduate Teaching Fellowship recipient (U of S), and a Mary Smart Scholarship recipient (Brandon, MB), Anastasia is also the winner of numerous festival awards (Toronto and Saskatoon). Anastasia has sung La Ciesca with Edmonton’s Opera NUOVA and Countess Ceprano with Saskatoon Opera. Other roles include; Fiordiligi, Malika, Mrs. Grose, Geraldine and Sandman. In excerpt, she has sung Contessa, Butterfly and Gretel. Other stage work includes singing in the chorus for the Toronto Operetta Theatre and the Saskatoon Opera Association. In recital, Anastasia has sung in Saskatoon, Toronto, Winnipeg, Brandon, and Ottawa, collaborating with such wonderful pianists as Valerie Duek, Steven Philcox and Kathleen Lohrenz Gable. In the fall of 2012, Anastasia will be singing the roles of Sally and Isis with a Little Opera On the Prairie in the production of Isis and the Seven Scorpions. 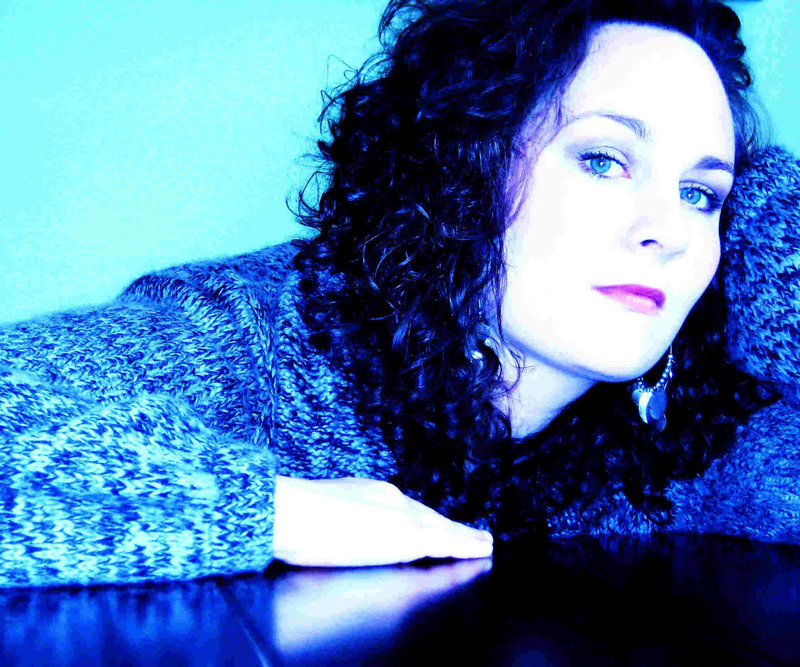 Anastasia holds an Artist Diploma from the Glenn Gould Professional School(opera) as well as a Masters Degree in Music. She is accompanied by Kerry Agnew on piano. The Paddlewheelers Trio was formed 5 years ago by Doug Porteous, Maurice Postnikoff, and Wayne Salloum. Named after the paddleboats that plied the Saskatchewan Rivers, the Paddlewheeler Trio specializes in heritage music, as well as popular music from the 1930′s, right up to the 1970′s. The Trio travels and has played for many functions including fund raisers, centennial celebrations, highschool reunions and others. 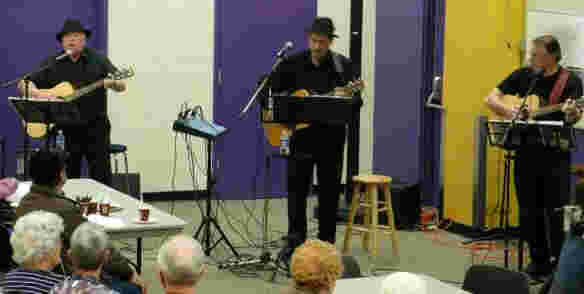 Trio members enjoy performing and view their role as ’breaking bread’ with an audience. All three members play Martin acoustic guitars, and have determined to use a simple, down-to-earth approach without the use of any other instrumentation. 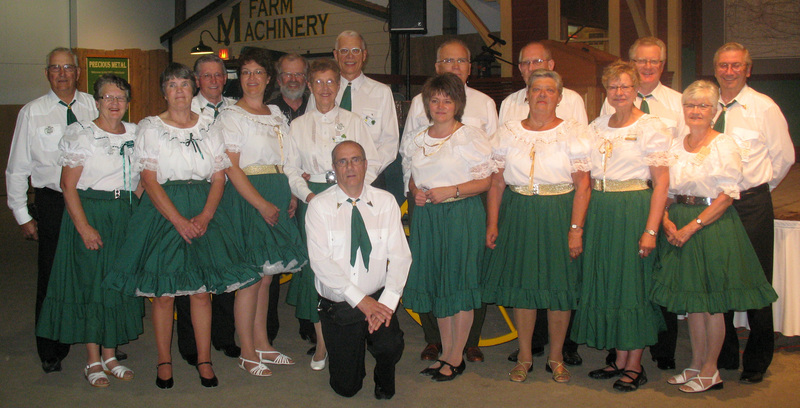 The Paddlewheelers have expressed appreciation of performing for the Heritage Festival, and are available for various functions by calling Maurice at (306) 242-1968. St. Mary’s Oskayak Song and Dance Troupe has performed across Canada including summer tours to Toronto, Montreal, and Vancouver. They have performed for conferences and gatherings like Western Provinces’ 4H Programme, SIFMC Awards Banquet, National Wrestling Championship, AFN National Health Conference and numerous other events. Their dance styles range from Pow-Wow: traditional, grass, fancy and jingle to Hoop Dancing. Singing, drumming, and jigging are featured as well. The troupe began in the spring of 1989 as an extra-curricular activity at St. Mary’s Community School, open to all students, and continues to this day. Between 15 to 30 dancers from Pre-Kindergarten to Grade Eight take part each year.